Mega-Prompt a subsidiary of Dynaxys LLC is pleased to add "Letter Storm" to its mobile application gaming portfolio. 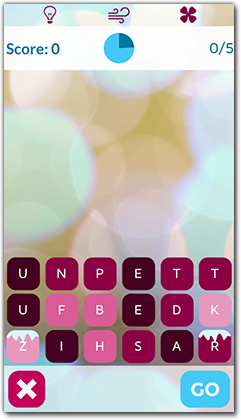 Letter Storm is a race against the clock as you assemble words to move to the next level. Adding to the excitement, tiles rain down onto the screen at regular intervals. This game is a true test of how quickly your mind functions under pressure. Play through new obstacles as you encounter tiles that freeze time or explode. Once you download Letter Storm you will not be able to put it down. Mega Bee is the first game release from Mega-Prompt. It is a fast-paced arcade game with several challenging levels. 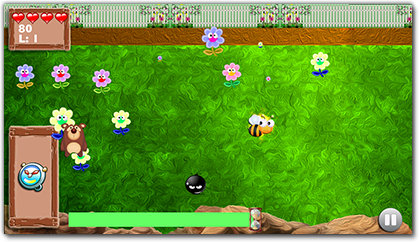 Users swipe the Busy Bee character around the screen to collect items, while attempting to avoid various hazards. Levels become progressively harder as Busy Bee works to save Princess Bee from Dragon Island. A hard mode option provides a greater challenge, making Mega-Bee an entertaining and addictive game for users of all ages. Players can enhance their gaming experience in the Mega Bee store using coins earned through play to purchase different Bee characters, extra lives and other tools. By using the Game Center, players can track their high score and compete against friends. Bunny Dash is Mega-Prompt's newest game. Similar to our previous release Mega Bee, Bunny Dash is a fast-paced swiping game available for iPad, iPhone and iPod Touch. Bunny Dash features three new characters, Bouncy Bunny, Chocolate Bunny and Farmer Bunny. 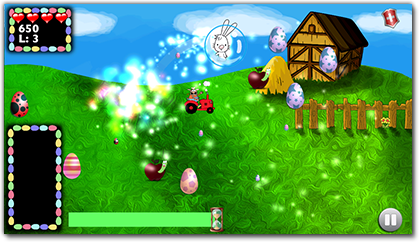 The user helps each bunny collect its lost Easter eggs by swiping around the screen and avoiding hazards. Hazards include dogs, farmers, birds, and of course, cows driving tractors. After completing all three levels, the Hard Mode is unlocked giving users a new challenge.